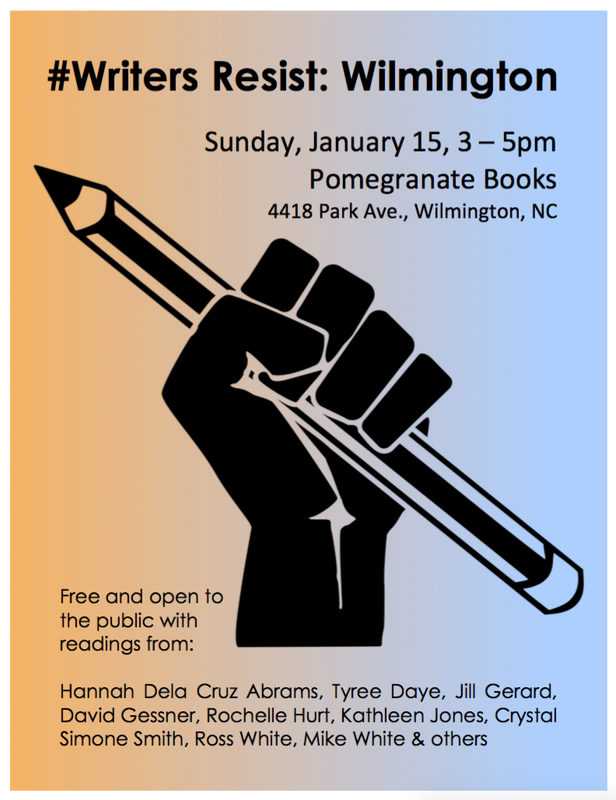 Yesterday, I took part in Wilmington's Writers Resist event. Writers Resist sprang up a few weeks ago, after Trump's election. Since then, it's become increasingly obvious that we, as Americans, need to uphold the values of free speech in order to protect our democracy. One of the most disturbing parts of this whole election is the many, many people willing to dismiss the wildly offensive and disturbing things that come out of Trump's mouth. "Oh, he just said that to get elected. He won't actually do that." Or "You always want to go by what’s come out of his mouth rather than look at what’s in his heart.” Or rumors that Trump wants to kick the press out of the White House. Or the rise and cries of Fake News, and the unwillingness to believe anything that doesn't align with your own ideas and prejudices. Words have power and meaning. Language is a tool that can oppress or liberate. There are many ways to resist Trump, and writing, reading, sharing, thinking - on the page and out loud, in public and alone - is one way. 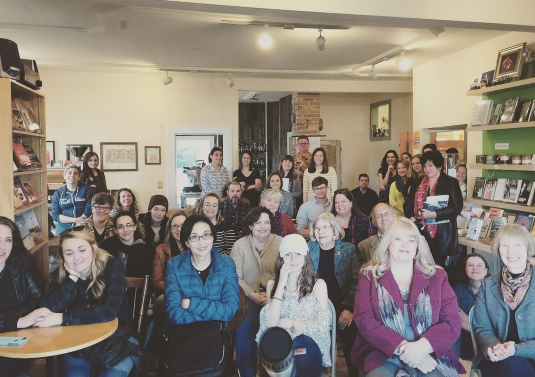 To that end, some writers in Wilmington organized a reading, which unfolded in our small town at the same time as over one hundred other events were taking place across the United States. Some events were huge, starring Poet Laureates and bestselling writers. Others charged a nominal fees for tickets and donated the proceeds to charities. Ours was smaller, including local writers and speakers who simply wanted to share and be a part of the movement. But small can be powerful. Small can be everything. Small is not so small, especially when you're surrounded by a vibrant, intelligent, smart, and passionate community of people who just want to make the world better. I ended up reading two original pieces, which were both loosely about women and girls and the world we live in. I ended with this quote by Chimamanda Ngozi Adichie, from her book We Should All Be Feminists. Thanks to Adichie for lending me the words, and thanks to the organizers of our event for helping Wilmington raise its voice and join the resistance. "Gender is not an easy conversation to have. It makes people uncomfortable, sometimes even irritable. Both men and women are resistant to talk about gender, or are quick to dismiss the problems of gender. Because thinking of changing the status quo is always uncomfortable. Some people ask: "Why the word feminist? Why not just say you are a believer in human rights, or something like that?" Because that would be dishonest. Feminism is, of course, part of human rights in general - but to choose to use the vague expression human rights is to deny the specific and particular problem of gender. It would be a way of pretending that it was not women who have, for centuries, been excluded. It would be a way of denying that the problem of gender targets women. That the problem was not about being human, but specifically about being a female human. For centuries, the world divided human beings into two groups and then proceeded to exclude and oppress one group. It is only fair that the solution to the problem acknowledge that."